In my previous post I noted the recently growing, even prevailing skepticism about ecumenism. Given the weight of history, the clash of ideas, and especially the agonistic culture of the Internet, pessimism is easy. No doubt we will hear more, lots more, of it; it's become par for the course; indeed I expect to see some of it in the combox to this post. Nonetheless, be it noted now that some of the real work of Christian unity goes on with the blessing and encouragement of the Pope and the Ecumenical Patriarch. As a fruit thereof, we now have the statement on "Ecclesial Communion, Conciliarity and Authority" issued by the Joint Catholic-Orthodox Commission ('ECCA' for short). Today I want to evaluate an intelligent reaction to that admittedly modest fruit, and add my own in response. One of the regular readers of this blog is John of Ad Orientem, an ex-Catholic who converted to Orthodoxy. On the occasion of ECCA's issuance, he has commented here and here. Both of those posts refer to the combox of a post at Cathedra Unitatis consisting of the Zenit translation of the ECCA text. John contributes his reactions there and invite us to do the same for the sake of maintaining the discussion's "coherence." Now since I'm the only blogger writing about this topic whom John has so far cited by name, I'm assuming that he is inviting my contribution. I wanted to respect his request to confine contributions to CU's combox; but as usual, what I have to say even initially will end up being far too long for a combox. And so I shall say it here, hoping to broaden the discussion while maintaining its coherence. What's the alternative? Well, there really is no clear alternative one can identify as essential to Orthodoxy, in such wise as to rule out the idea that the schism is one "within" the Church rather than a matter of one ancient church leaving the Church. 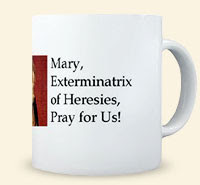 And herein lies the ecclesiological hope, at least from the Catholic standpoint. Try as I might and have, I have never been able to find anything in Orthodoxy that would rule out its eventually coming to see the schism as one within the Church, even on the premise that the Orthodox Church is the Church. Whether we're discussing the ecumenical councils of the first millennium as distinct from councils of disputed ecumenicity or merely local authority, or liturgical texts that are standard throughout Orthodoxy as distinct from those peculiar to this or that local tradition, I've never encountered anything which would begin to persuade me that Orthodoxy is committed to viewing the schism with Rome as something more than a dispute between two sectors of "the"Church whose differences arise more from historical and cultural exigencies than from irreformable doctrine. In other words, I can find nothing in Orthodoxy that would commit the Orthodox communion irrevocably to viewing Rome as anything worse than the primatial Orthodox church that's exercised her primacy imprudently for too long—any more than I can find anything in Catholicism committing the Catholic Church to viewing Orthodoxy as anything worse than a communion of local churches that, for a good while now, have got a few key issues wrong and thus have refused to maintain communion with the primatial see of the Church. So as far as I can tell, it remains possible, at least in principle, for Orthodoxy to reunite with Rome along the lines of the Ratzinger proposal of 1982, without abandoning the idea that the Orthodox Church is the Church. Rome would come to be viewed among the Orthodox churches as the first among Orthodox churches and, in that capacity, as having brought the rest along to recognizing that fullness of the truth which was the common patrimony all along. Of course I had acknowledged from the outset that such is not how most Orthodox see the matter. They haven't seen the matter that way for centuries and, for the most part, don't seem disposed to now. Least of all can Western converts to Orthodoxy be expected to see it that way. But I was and am concerned with how the Orthodox as a whole "could, self-consistently, come to see" the matter, and I had been hoping for a creative reaction engaging that point. At the time, all I got even from John was more pointing to the gorilla—as if I didn't know what was still in the room. What arouses my interest now is that John is starting to do more than that. Rome claims two very key things. First that all of the Latin dogmas proclaimed post 1054 are correct, and secondly that the Orthodox Churches are true and particular churches that are a part of the One True Church, if imperfectly. In support of this they note (repeatedly) that we have never formally anathematized those doctrines. Assuming for the sake of discussion those two claims are correct then Rome should have nothing to fear from putting it all on the table. Let a true Great Council of The Church be convened and hammer it all out. The worst that happens is it fails and we are back to where we stand today (with a few dozen more schisms on the side). That might indeed be the result. I suspect it is quite likely. The odds against agreement are staggering. But maybe, just maybe, we would see a miracle. I think the possibility of living to see a concelebrated liturgy with all of the Orthodox Patriarchs and the Pope of Rome is worth the risk. But it really comes down to this; how confident is Rome of its position? Are they willing or even able to take such a leap? What say my Roman brothers and sisters, is restored communion worth such a risk? I applaud John for even framing the issue that way. And I'm disposed to say that, from Rome's standpoint, of course it's "worth the risk." But such an observation is idle without noting a practical consideration. Even if, in their private conversations, Benedict and Bartholomew agree that such an undertaking would be worth the risk, could it occur at all given current attitudes in Orthodoxy? The Russian Orthodox, after all, walked out of the Ravenna discussions, ostensibly because of a dispute with the EP about patriarchal jurisdiction over the Orthodox Church of Estonia. That sort of thing is predictable given the way Orthodoxy has operated for centuries now. And the Russians are the largest segment of Orthodoxy. So it is highly unlikely, as a practical matter, that Moscow as well as all the other patriarchates in schism with Rome would agree to attend such a council and consider its decrees binding on the whole Church—even if Rome and Constantinople called for it and held it. If so, then it doesn't much matter whether Rome considers the risk worth taking or not. As things now stand, it's not a risk that could actually be taken at all, no matter how interested Rome or Constantinople would be in taking it. Of course, I've already implied that such an obstacle is more practical than theoretical. It's how things are but it's not, as I see things, how dogma requires them to be. In order to get off the dime, then, it behooves us to consider what the dogmatic commitments of each side would logically permit in the long term, as opposed to what human attitudes prevent now. And so it is to that I now turn, as the intellectual space where hope can reside. The first step is to get clear about the use of the term 'ecumenical' for councils. In Rome's eyes, any council whose decrees are confirmed by the pope as binding for the whole Church binds the whole Church. In Catholic parlance, such a council is "ecumenical" in the strictly normative sense of the term: it binds the whole Church de jure even if, as a purely practical matter, not all the Church is involved in formulating its decrees and/or not all the Church "receives" those decrees, in the sense of accepting them. That is why the general councils of the West held since the schism of 1054 can be called "ecumenical" in Catholic terms, even though the true, particular churches called "Orthodox" do not accept them as such—and Rome is simply not going to revoke the dogmatic definitions of any such council. Even so, such usage of the term 'ecumenical' on Rome's part is logically consistent with how the Orthodox use the term "ecumenical" for councils. 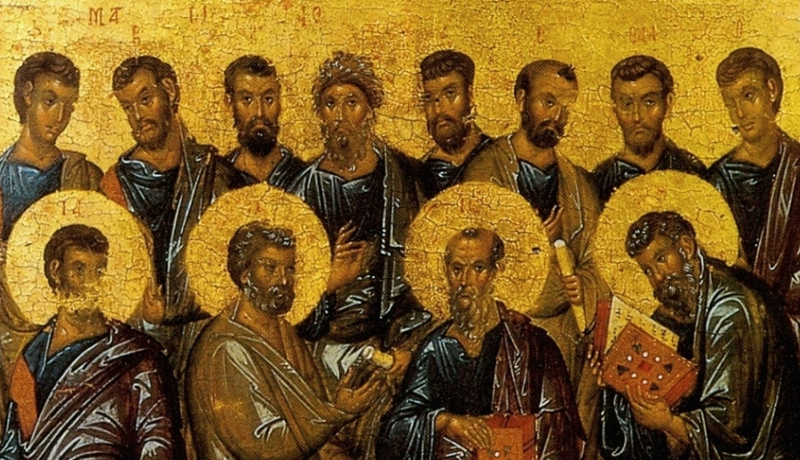 In Orthodox terms, a given council counts as "ecumenical" only if the participating bishops represent the Church as a whole and its decrees are received by the Church as a whole. In that usage, the term "ecumenical" is primarily empirical rather than normative. It tells us what is, or would be, the case, and that is logically distinct from what ought to be the case, which is what Rome's usage ostensibly tells us. Now from Rome's standpoint a given council would count as ecumenical in the normative sense ('ecumenical-N') if, in fact, it counts as ecumenical in the empirical sense ('ecumenical-E'). For a council that would count as ecumenical-E, in both Catholic and Orthodox terms, would entail Rome's assent and ratification, which from Rome's standpoint would suffice to make it ecumenical-N. And even if the Orthodox faithful as a whole did not "receive" the decrees of such a council because of Rome's assent and ratification, such a council would in fact count as ecumenical in Orthodox terms, i.e. as ecumenical-E. By common consent, any council that is ecumenical-E would also be ecumenical-N. Given as much, the question arises: given the dogmatic commitments of each side, would it be possible to hold a council that both sides could recognize as ecumenical-N? From Rome's standpoint, the answer is clearly yes. But from the Orthodox standpoint, the answer is not so clear. For one thing, who, in Orthodox terms, would have the authority to convoke and preside over such a council? Given what the new Ravenna document says about papal primacy—which isn't all that new and certainly is not ambitious—there is only one realistic candidate for such authority. We know who that candidate is. But the scope of authority claimed by the See of Rome is precisely that the rejection of which, on the part of the Orthodox, sustains the schism. So the question who has the authority to convoke and preside over such a council is not, in Orthodox terms, so easily answered. Beyond that, there is this question: Even if such a council were held, just whose "reception" of its decrees would be necessary for it to count as ecumenical-E? Even in Orthodox terms, it doesn't necessarily have to be reception by all the churches Rome counts as "true, particular churches." After Ephesus, the Nestorians' rejection of its decrees formed a schism that has never been fully healed; after Chalcedon, the Monophysites' rejection of its decrees formed a schism that has never been fully healed. Such is the schism of the "Oriental" Orthodox with the "Eastern" Orthodox as well as with the Roman communion. Thus the decrees of the "ecumenical" councils of Ephesus and Chalcedon were not, in fact, "received" by those true, particular churches which are now called OOs; yet that hasn't stopped the EOs from considering Ephesus and Chalcedon ecumenical-E. To my mind, and for a long time, that raises the question what EOs mean by 'the Church' when they say that reception by "the Church" of its decrees is necessary for a given council to count as ecumenical. Despite assiduous research and discussion, I have never been able to find an answer to that question that doesn't just raise further questions. And I would not be so presumptuous as to try to answer those question for EOs themselves. But I must say what I consider incontestable: the mere fact that such questions are genuine poses a challenge to Eastern Orthodoxy to develop further insight into such ecclesiological truth as materially resides already in the faith-once-delivered. Until Orthodoxy as a whole develops greater clarity about what it means by the phrase 'the Church'—meaning the one, holy, catholic, and apostolic Church affirmed in the common creed of East and West—there will be no clear basis for holding a general council that the Orthodox as well as Rome could clearly consider ecumenical. I don't mean clarity about the referent of the term; clearly, to be Eastern Orthodox is to believe that the true referent of the term is the Eastern Orthodox communion, and that's not what I'm asking about. I mean enough clarity about the meaning of the term to give a clear, consensual, and consistent account of how the Roman and OO communions relate to "the" Church, understood as the Eastern Orthodox communion. As evinced by Vatican II's Lumen Gentium and Unitatis Redintegratio, as well as other pertinent documents since that council closed, the Catholic Church has undergone and fostered the development of ecclesiological doctrine in such a way as to give an account of how the EOs and OOs relate to "the Church," which is said to "subsist" in the Roman communion as a perduring whole. As a matter of fact, John's challenge to us Catholics makes use of that development. But something analogous does not seem to have occurred in Orthodoxy. We have Zizoulas' eucharistic ecclesiology, which dovetails somewhat with Ratzinger's theology of communio and has clearly influenced the Ravenna proceedings. But further progress in Orthodox ecclesiology is necessary if the process embodied by Ravenna is to continue. What direction could and should such progress take? That's the question that Orthodox like John need to consider. What can Wuerl and Egan say now? Could this be issued today? Orthodoxy on churches outside "the Church"
Worse, or just better exposed? The devil in the electricity?